By the time he was 40-years-old, Viktor Frankl had lived through two World Wars, spent three years in Nazi concentration camps, and lost his parents, wife, and brother in the Holocaust. These incomprehensible circumstances, however, wouldn’t stop the immortal neurologist and psychiatrist from finding meaning in his own life and helping others to do the same. His therapeutic teachings about the importance of having purpose in life will forever remain treasured in the world of psychology, and his 1946 classic Man’s Search for Meaning will forever remain one of the most cherished inspirational books ever to be published. Nine years before the start of World War I, and 34 years before the start of World War II, an Austrian Jewish family of civil servants gave birth to their second of three children in Vienna. It was in 1905 when Gabriel Frankl, the Director of Austria’s Ministry of Social Service, and his wife Elsa welcomed Viktor into the world. While the early years of the young child’s life would be lived typically for someone of similar age and social class, he, like many European Jews of the generation, would soon face a set of unimaginable circumstances. The first difficulties experienced by the Frankl family came during World War I when widespread deprivation forced Viktor, his sister Stella, and brother Walter to beg for food from local farmers. Forturnately, upon the end of the four year war, things returned to normal for the Frankls and the children returned to school. For Viktor, a natural draw to the fields of psychology and philosophy would shape the career path of his future. After graduating from high school, Viktor Frankl went on to study neurology and psychiatry at the University of Vienna. During his time at the world class university, he had an opportunity to come in contact with two of Austria’s greatest psychotherapists, Sigmund Frued and Alfred Adler. In 1937, Frankl, who would later develop his own school of psychological thinking, would open his own practice as a neurologist and physiatrist. This, unfortunately, would be only one year before Hitler led troops would invade Austria. Even with tensions rising within Austria over the coming years, Viktor Frankl was able to start outlining his philosophy for psychotherapy, called Logotherapy, which is considered to be the third Viennese school of psychotherapeutic thought. While the previously mentioned Freud and Adler believed that the most powerful motivational drive for humans was pleasure and power respectively, Frankl came to believe that meaning in life was what motivated humans most. Moreover, he determined that life can always have meaning, regardless of the circumstances, and that each human has the freedom to find purpose in every situation they face. While these ideas came before the ominous year of 1942, Frankl would soon verify his beliefs in the most trying circumstances. It wasn’t until the 27th of April in 1945 when Viktor Frankl and the other prisoners living in the Auschwitz concentration camp would be liberated by American soldiers. After returning to Austria, he was delivered the fateful news he so desperately didn’t want to hear: His wife, parents, and brother would all die in German concentration camps. His sister, and himself, would be the only two members of the family to survive the unworldly ideal. Only one year after being released from Auschwitz, Viktor Frankl published Man’s Search for Meaning which has since become one of the most inspirationally moving books to ever be published. Throughout the book’s pages, Frankl justifies his belief that meaning is the most important component of human existences with relatable stories from his time living in German concentration camps. Since the book’s initial publication, it has sold over 9 million copies worldwide and cemented Frankl as one of the most important psychology figures to ever grace the earth. Viktor Frankl passed away in 1997 at the age of 92, but leaves behind a legacy that will forever be cherished. 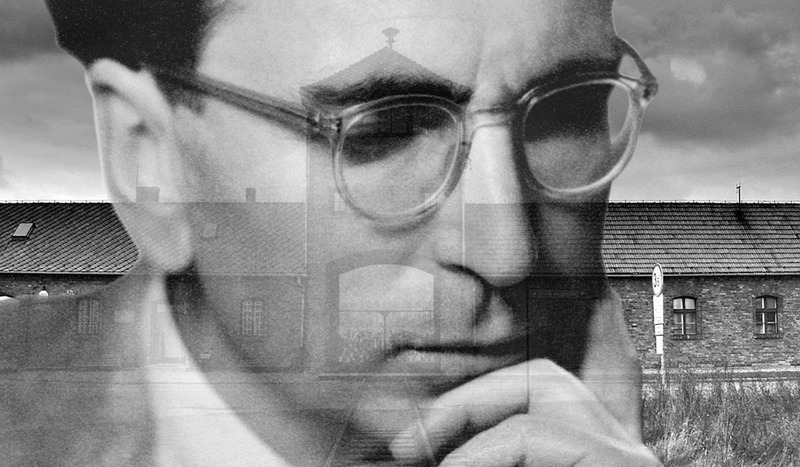 After being released from Auschwitz and writing Man’s Search for Meaning, Frankl was able to finalize his theory of Logotherapy which greatly helped advance the larger field of psychology. In total, he authored 39 books, was honored with numerous awards, and is considered to be one of the primary inspirations for Humanistic psychologists. Meaning in Life is Everything: Even before Viktor Frankl was sent to unjustly live and work inside some of the Nazi’s worst concentration camps, he began formulating the belief that the most important component of human wellbeing is the meaning individuals have for their lives. While inside the concentration camps, he came to realize that the prisoners who found a way to live with purpose would tend to stay alive much longer than those who had lost their way. The celebrated psychiatrist told us that individuals can find purpose in many different ways and recommended patients search for meaning through creative work, life experiences, and by changing their attitudes about their life situation. Since, in the eyes of Frankl, there is a clear correlation between a sense of meaning and levels of wellbeing, it is vitally important for each of us to find purpose in our live endeavors, whatever they may be. Taking Personal Responsibility: Through his experiences in Auschwitz and other Nazi concentration camps, Viktor Frankl saw firsthand how individuals have the ability to freely take responsibility for their lives and respond to whatever circumstances they face with an attitude they freely choose. In Man’s Search for Meaning he writes, “We who lived in concentration camps can remember the men who walked through the huts comforting others, giving away their last piece of bread. They may have been few in number, but they offer sufficient proof that everything can be taken from a man but one thing: the last of the human freedoms — to choose one’s attitude in any given set of circumstances, to choose one’s own way.” In Frankl’s estimation, taking personal responsibility for one’s own live, and their attitude towards the circumstances they face, is in fact the ‘essence of existence.‘ To improve our abilities to freely make choices, he told us that each of us should be educated on decision-making skills and then take unwavering personal responsibility for our lives and the attitudes we live with.